The Body Firm by Sharon Tuggle provides personal training and massage therapy to women of all ages. Sharon’s mission is to provide motivation, support, and knowledge that will assist you in reaching your goals or health needs. She has made fitness a part of her life, and her goal as a personal trainer is to inspire others to be successful in attaining a healthy and fit lifestyle. Sharon Tuggle has been in the fitness industry since 1996 and holds several training certifications. She specializes in body sculpting, muscular endurance, and aerobic training for women. By providing personalized and varying routines, she prevents session downtime and boredom. Her individual sessions allow one-on-one guidance and in-home training adds convenience. She is certified by the American Council on Exercise (ACE) and Irvine Valley College. She has several specialty recognition certificates in exercise for populations with heart disease, diabetes, arthritis, and respiratory disease. She worked at the Gaylord Texan for 13 years training, massaging and teaching Get Fit Boot Camp for the employees. 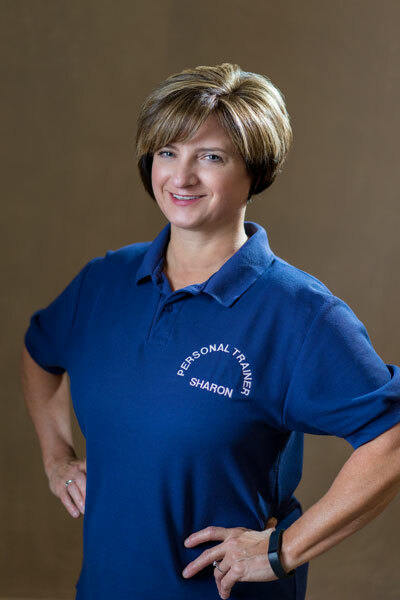 To learn more about training with Sharon, please visit her Training Page. For more information about personal training and the health benefits, please visit some of these pages: Personal Training FAQ and Benefits of Exercise. Get $10 off a 55 minute massage or $5 off a 25 minute massage when you mention “postcard 2018”. This cannot be used for chair massage or out calls. Call today! This offer expires 12/31/2018. Sharon has been providing relaxing and healing massages since 2004. She is a Registered Massage Therapist in the State of Texas. She trained and went through her internship at the Institute of Bodywork Studies in Lewisville, TX and she specializes in Swedish massage. She also holds a certification in chair massage. In 2009 she completed the My Ashiatsu Oriental Bar Therapy certification at an onsite www.deepfeet.com seminar. To learn more about all of the massage modalities she offers, please visit her Massage Page for details. For more information about massage and the health benefits, please visit some of these pages: Benefits of Massage, Frequently Asked Questions About Massage, and How Therapeutic Massage Helps Relieve Stress. Where is the Body Firm? Sharon is based in Coppell, TX. Please contact her for more information and rates.